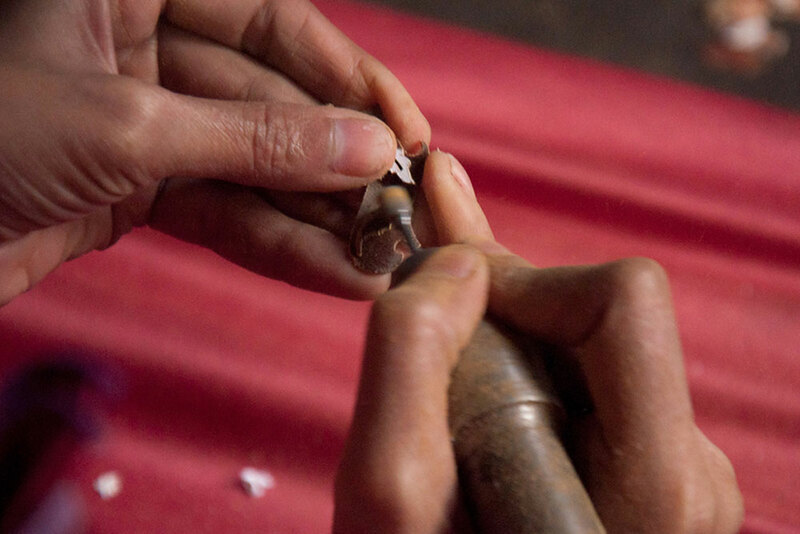 Carving the shape using customized carving machine. 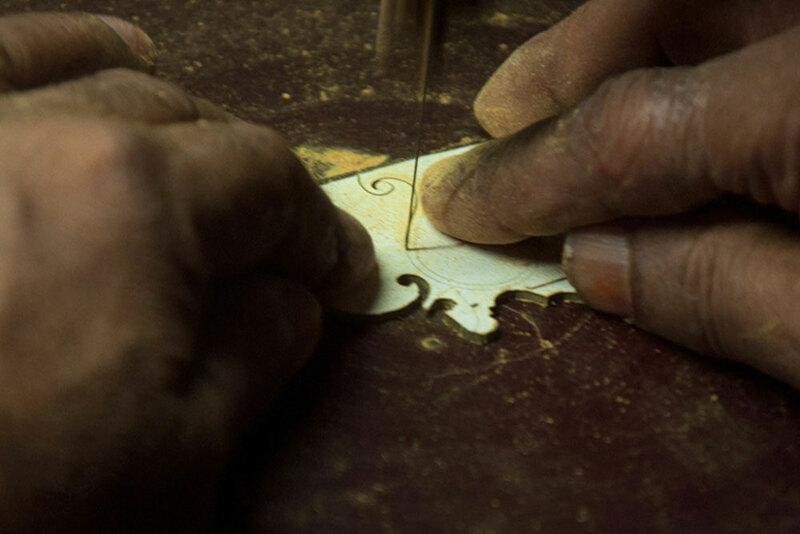 Artisan applying fevicol to plywood in order to stick carved design. Carved design is being stick over plywood. 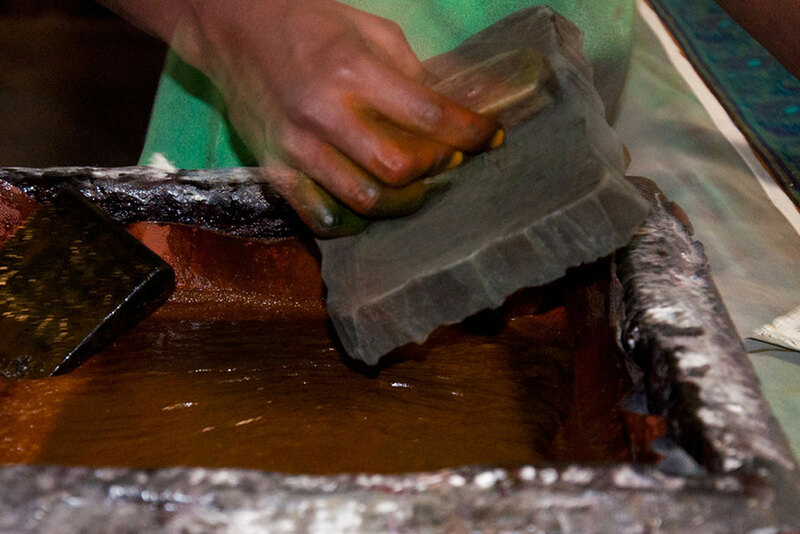 Artisan smoothening the edges with buffing machine. Block is being dipped in paint. 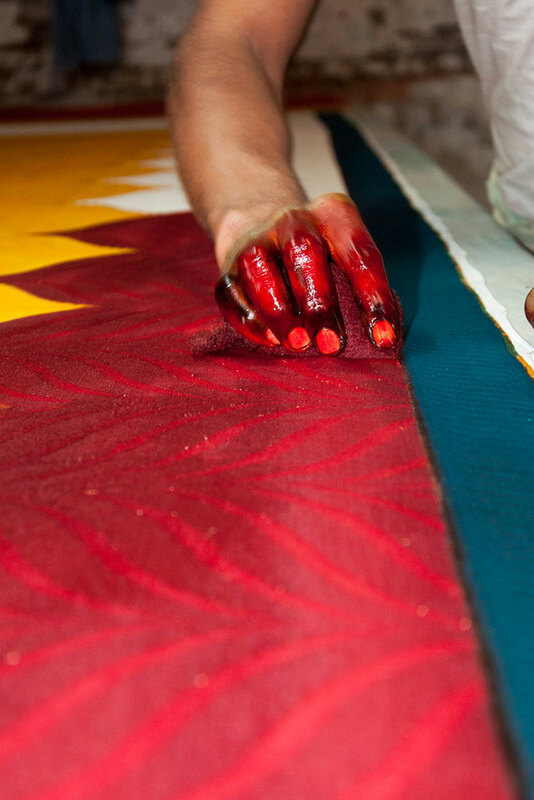 Block dipped in paint is used to create a design patterns on saree. 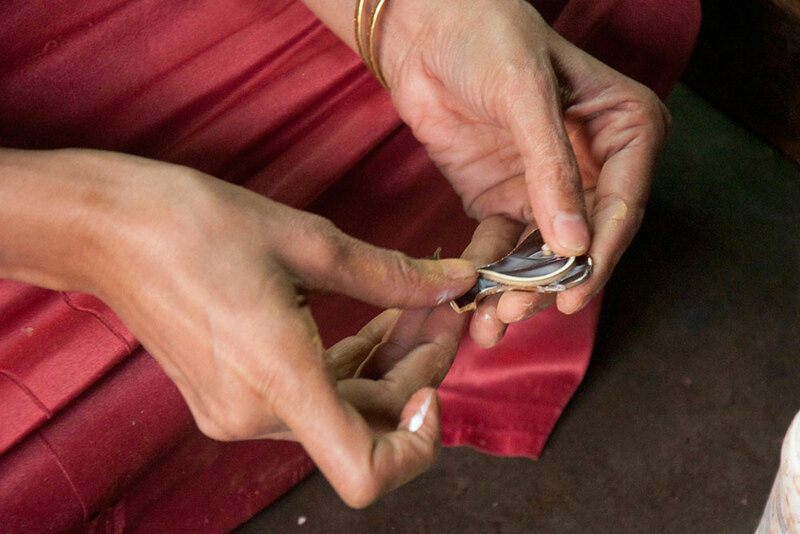 Artisan involved in the process of block printing. Cotton cloth is being spread over the table. Gold glitter paint is being used to create outlines for designs. 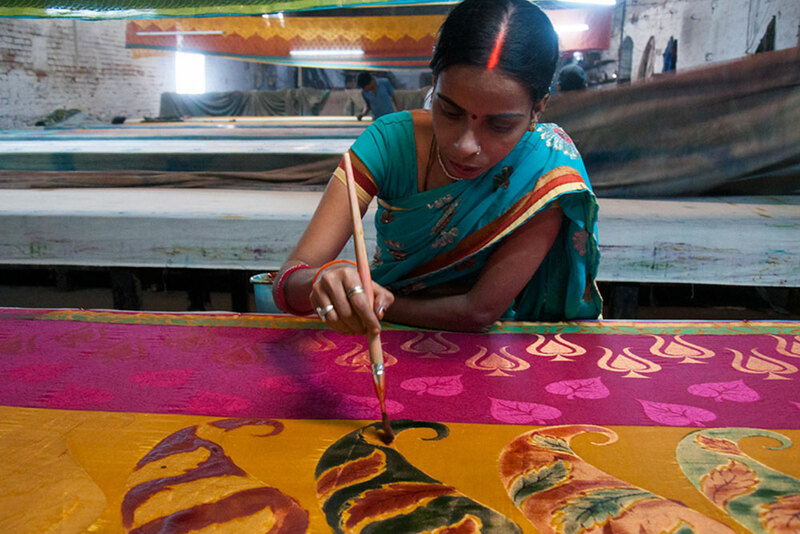 Artisan involved in painting the saree. 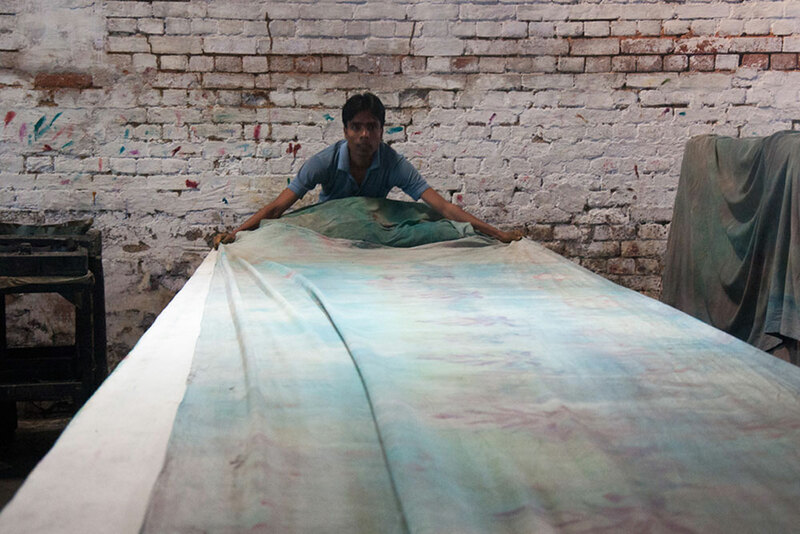 Blue paint is being applied over the saree borders. Red paint is being applied using the sponge. 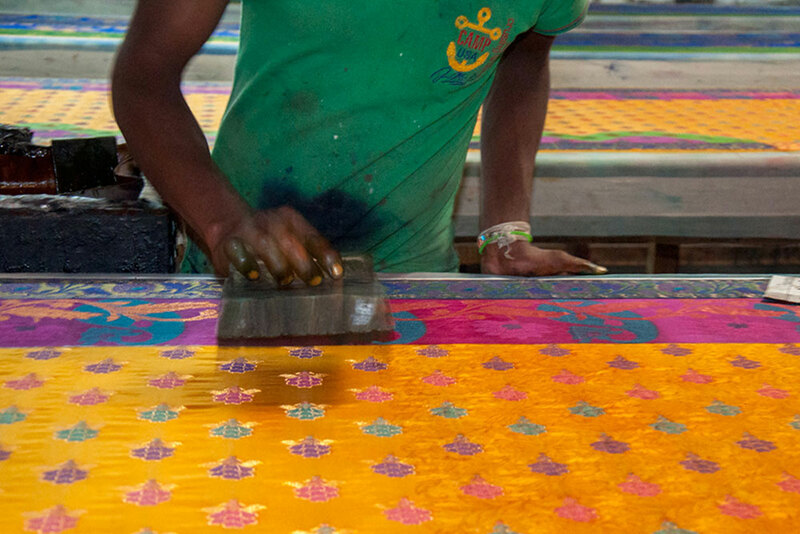 This method of printing patterns on cloth is used across India, but the tradition is strongest in Varanasi where societies of hand textile printers once prospered. 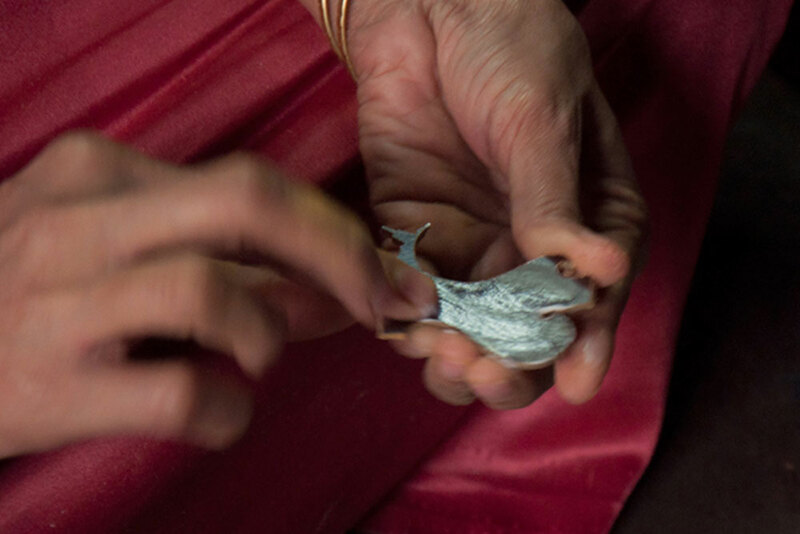 This technique is used to print on cloth with the help of a wooden block. 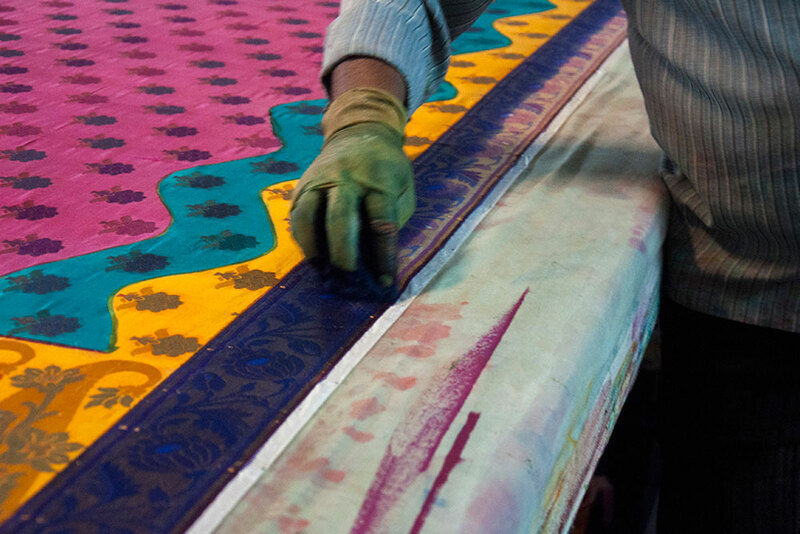 The printing of fabrics with hand blocks is fundamentally similar to the use of a rubber stamp and an ink pad. 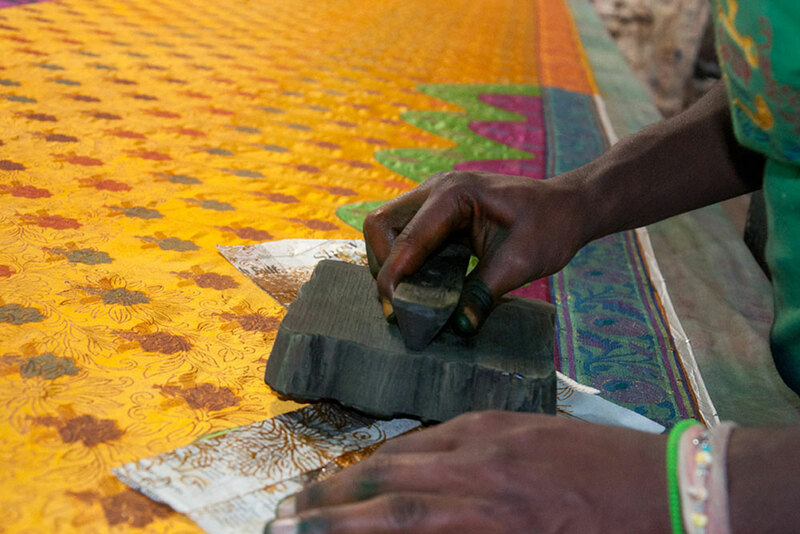 Although block printing is perhaps the oldest method of the local application of color to fabrics, it still persists but it is mainly confined to the decoration of scarves and sarees. 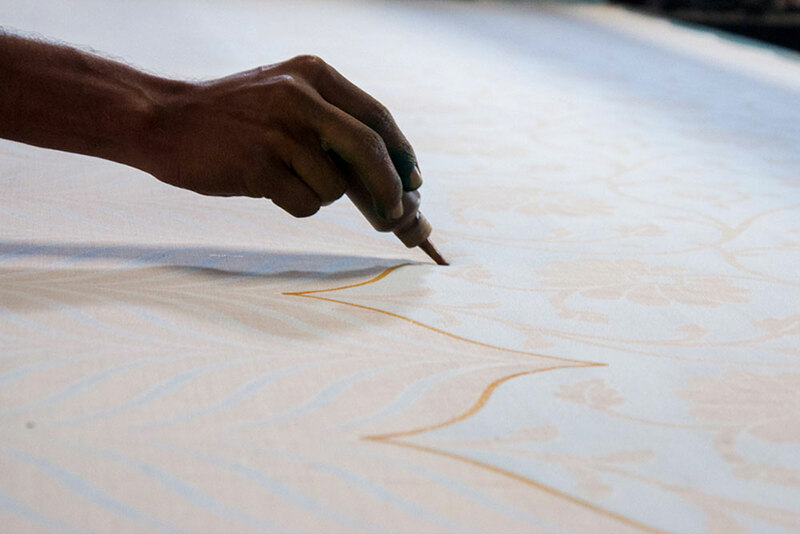 Finishing is the last process of the textile industry. It eliminates excess dye, sets the color and also fluffs the yarn that makes up the fabric to complete the structural aspect of the fabric. Finally the products are exported across the world to retain the tradition of India.